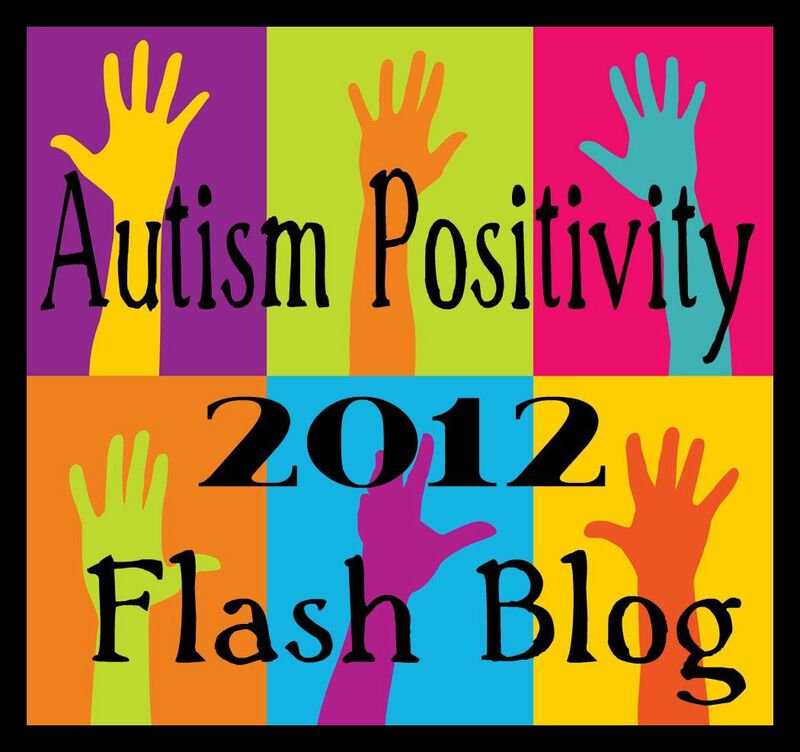 ← Rail Against Stigma: This is not a Radical Act! It has been a laid back Sunday. 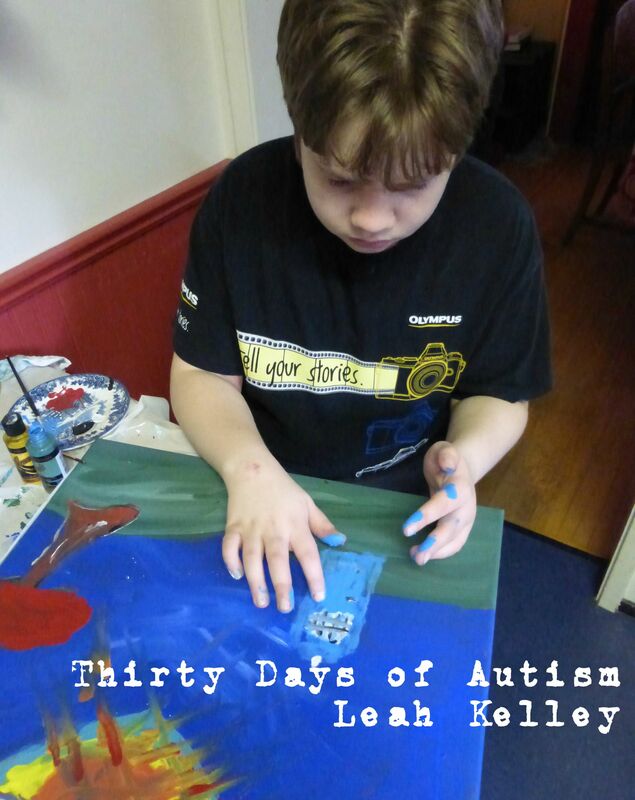 I encouraged him to explore with colour and touch and to experience the paint and canvas in a sensory way. 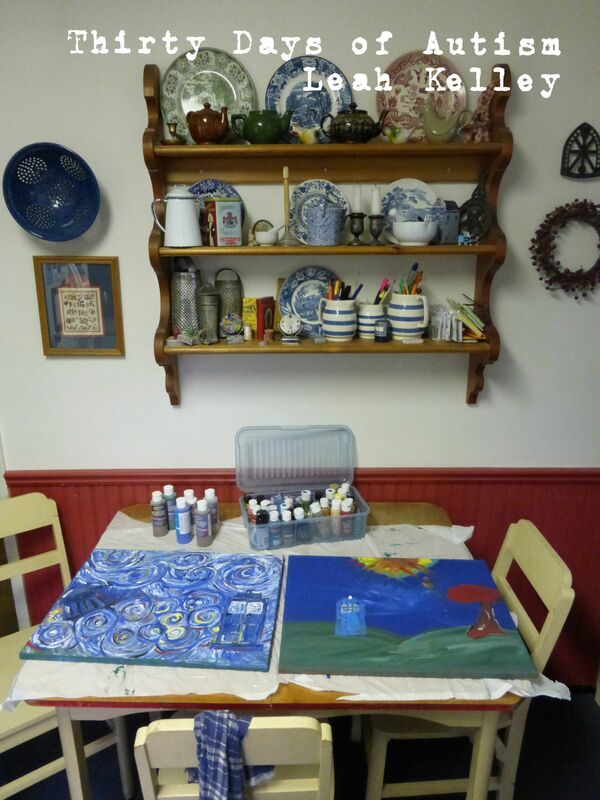 We painted and talked, and painted and talked some more. And then, when he was done, H abandoned me to build a TARDIS in Minecraft. He said he was making it for me… which may be trifle suspect because I don’t actually play Minecraft. 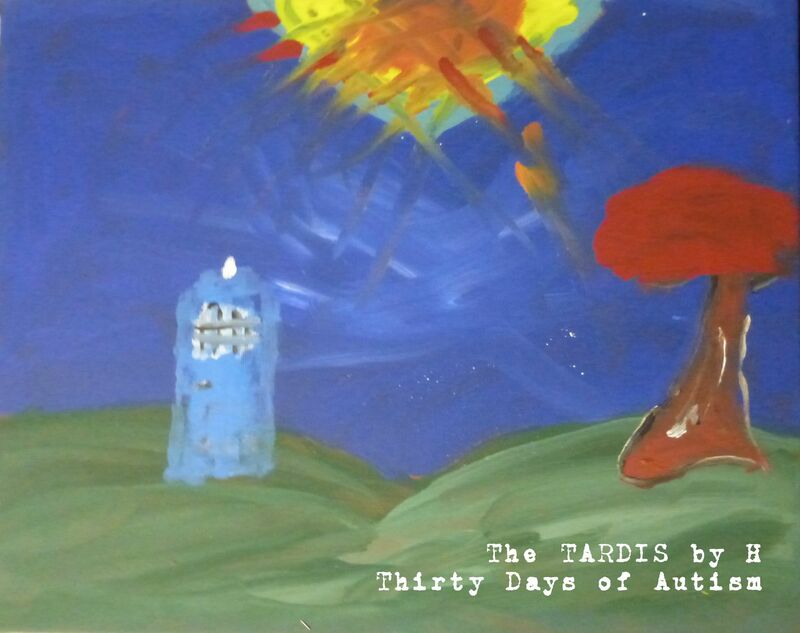 Inspired by H’s picture and the Vincent van Gogh episode, I painted a Doctor Who themed image as well. You can see the TARDIS and a wee bit of a Dalek hidden in there amongst the swirls. And now we are watching Doctor Who while dinner is in the oven. I treasure these times because I am very aware that H is perched on the edge of adulthood and I notice that time seems to be zipping by at close to time-warp speed. I expect and understand that soon he’ll be busy with other stuff and that spending the afternoon hanging out with me may become a rare thing indeed. Sometimes the pace choses me… but not today. Today was a day to connect – to hang out – to share in and explore H’s current interests. So the house isn’t as tidy as it could be… and tomorrow I am back to work, but I can’t imagine I will ever regret spending a laid back afternoon doing Doctor Who related things with this wonderful young man. 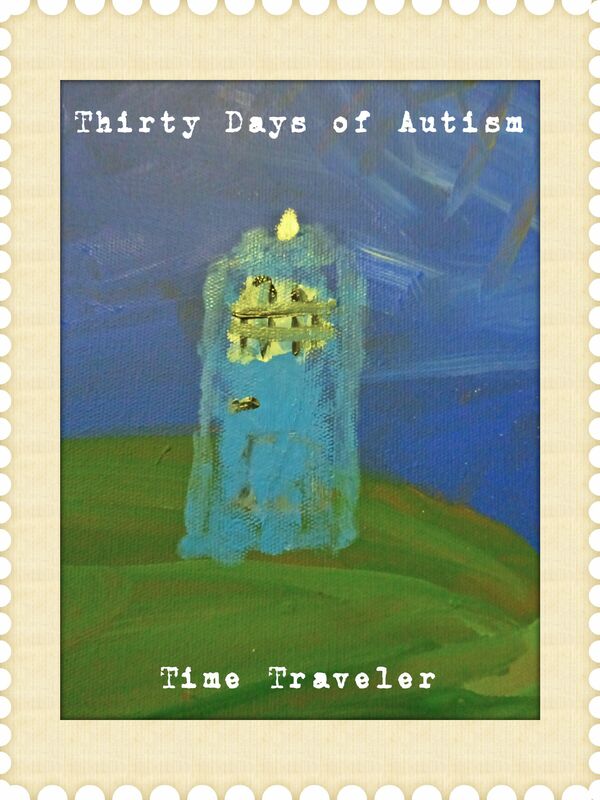 This entry was posted in Autism, Doctor Who, weekend and tagged Art, Doctor Who, minecraft, Painting, the Dalek, The TARDIS. Bookmark the permalink. I love Doctor Who too. Love the paintings, very awesome. Sounds like a great way to spend an afternoon – the housework will always be waiting for you. Is H looking forward to meeting the new Dr.? I think you are in the U.S. aren’t you so I don’t know whether you will get it the same time as the U.K. Mind you, even we will have to wait until autumn 2014.